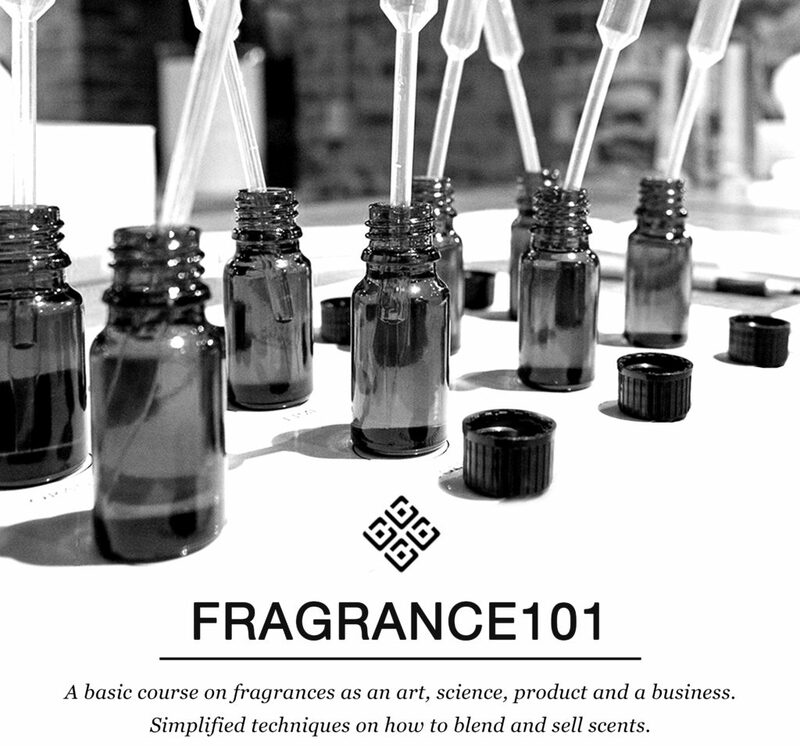 This is not your ordinary perfume making class. Our in-house perfumer, Bernadette, goes beyond teaching how to dilute fragrance oils to make perfumes and colognes. Bernadette is a Fragrance Specialist certified by The Fragrance Foundation in New York City. She has likewise undergone perfumery training under British perfumer, Stephen Dowthwaite. SM Malls, Ortigas & Co., Red Planet Hotels, Mercure Hotel, Azalea Residences, Bellevue Hotels Group, Uber, Grab and many more! The class starts off with a quick introduction and lecture on what will be tackled. The class covers a wide spread of information from fragrance history to scent classification, focusing on creating your own blends and some tips in selling scents. Everyone will get to blend their own scent. Class will run for a minimum of 6 hours, 10am to 4pm. What kind of skill level do I need to join a class? Whether you’re attending out of curiosity or want to further your knowledge on fragrances, you are more than welcome to join! Our class is designed to accommodate individuals from varied backgrounds and knowledge levels. How much does it cost to attend a workshop and how do I pay? Receive handouts, a starter blending kit, a FREE Perfumery Business Calculator. Inclusive of Certificate of Completion. We require advance payment to assure your slot in the class as our classes are usually sold out. Where do you conduct classes? Exact address will be disclosed to paid participants only to prevent walk-ins. Full payment is required to reserve a slot. If you cancel less than 5 days before class, you forfeit the full amount paid. You may send someone in your place or you can opt to receive the handouts and kit via mail (you will shoulder the shipping fee). Can you accommodate pregnant women? We highly discourage women who are less than 12 weeks pregnant from joining the classes. We smell potent materials during class and may cause nausea. We likewise suggest consulting your doctor prior to attending our classes. You will be asked to sign a waiver prior to class. Are the topics covered in class good for those who want to start their own perfume / home fragrance business? The class is designed to give you the basic knowledge in creating your own scented products, a background on the perfume making business as well as other pertinent information you will be needing when you put up your own fragrance brand. Can we invite you to hold a private class? Of course! Let us know the details.